Importing and exporting on a global basis is something that all freight forwarders can provide but when it comes to the transportation of dangerous goods by air, road and sea most will decline to offer this as a service and that is why we are set apart from the rest. We have dedicated members of staff specifically trained in the handling, packing and distribution of hazardous cargo by air road and sea and work in conjunction with the regulations specified in “IATA Dangerous Goods Regulations by Air” and the “IMO International Maritime Organization Regulations”. 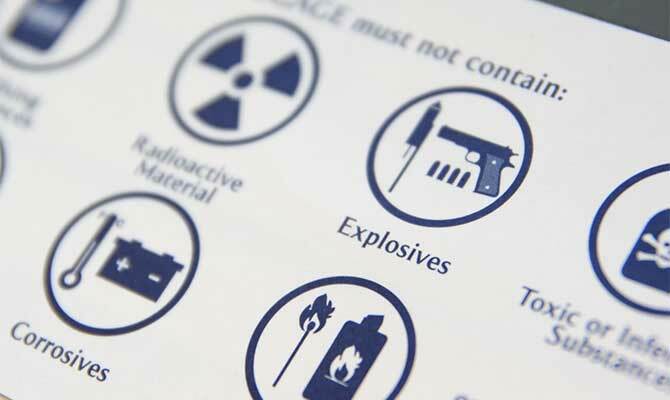 Correct packing of dangerous goods is of the utmost importance when traveling by air and sea. Eclipse Worldwide are able to arrange a full packing service using the appropriate UN approved boxes and packaging materials suitable for the safe movement of hazardous goods as well as using the necessary absorbent materials. By strictly adhering to the dangerous goods regulations, by using the correct packaging and completing the relevant documentation correctly Eclipse Worldwide will easily be able to move your hazardous cargo on any mode of transport. For more information on the transport of dangerous goods, please contact us on 01604 759888.